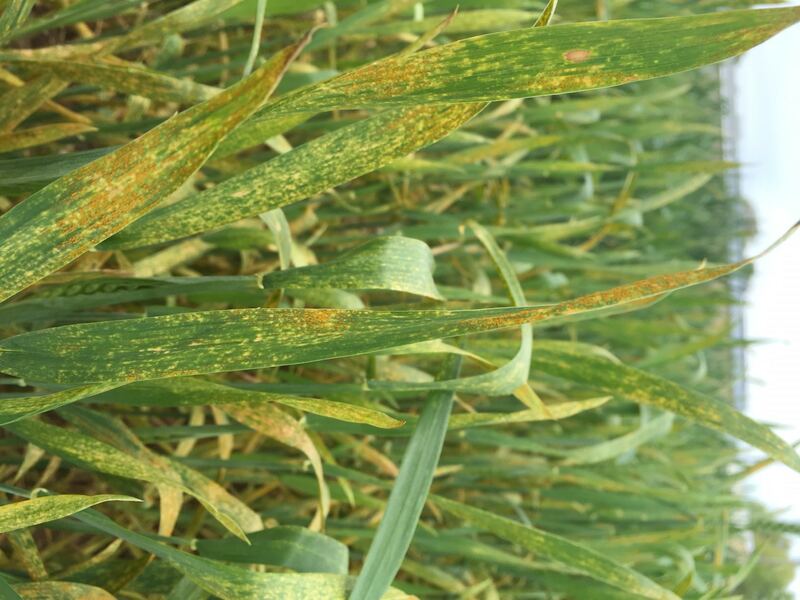 As wheat progresses to flag leaf growth stage, the first reports of stripe rust in Western Tennessee have come in. Dependent upon variety, location, and treatment history wheat fields may begin to show symptoms of stripe rust (images 1-4). 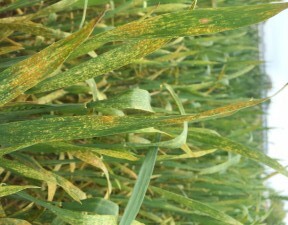 Be aware there may also be leaf rust in the field (images 5). 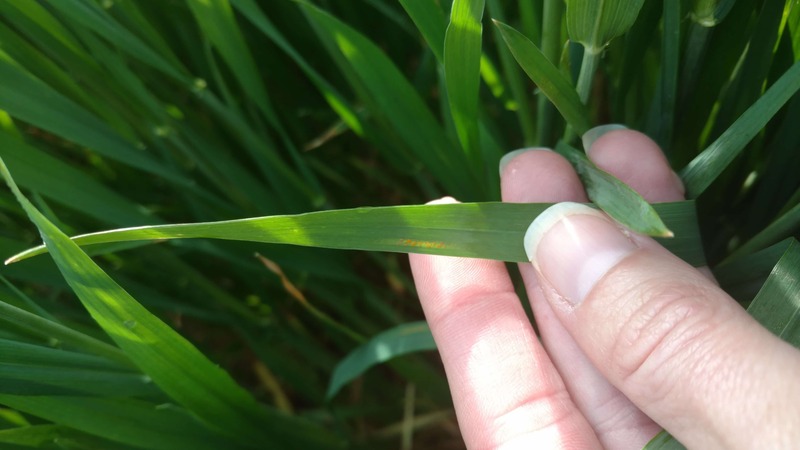 Both rusts (image 6) can be damaging to yield dependent on how early they infect, weather conditions, and susceptibility of variety; although stripe rust usually poses a greater yield loss potential. 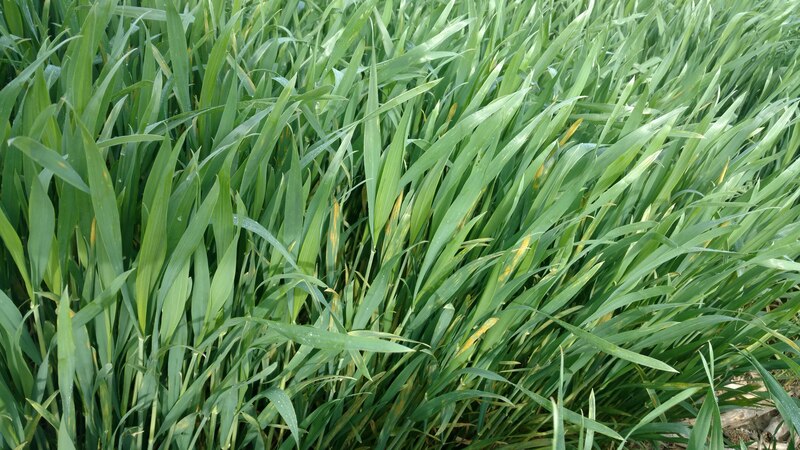 A Wheat Tech scout provided the first report of stripe rust in the Trenton area. 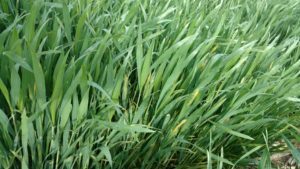 Other stripe rust observations from Madison up to Lake County have also been reported. 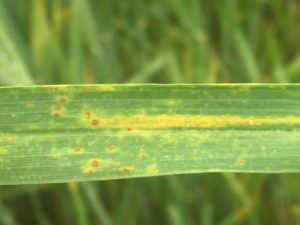 Stripe rust develops best within 50 to 64 °F with intermittent rain or dew and rapidly losses its ability to cause new infections above 70 °F. 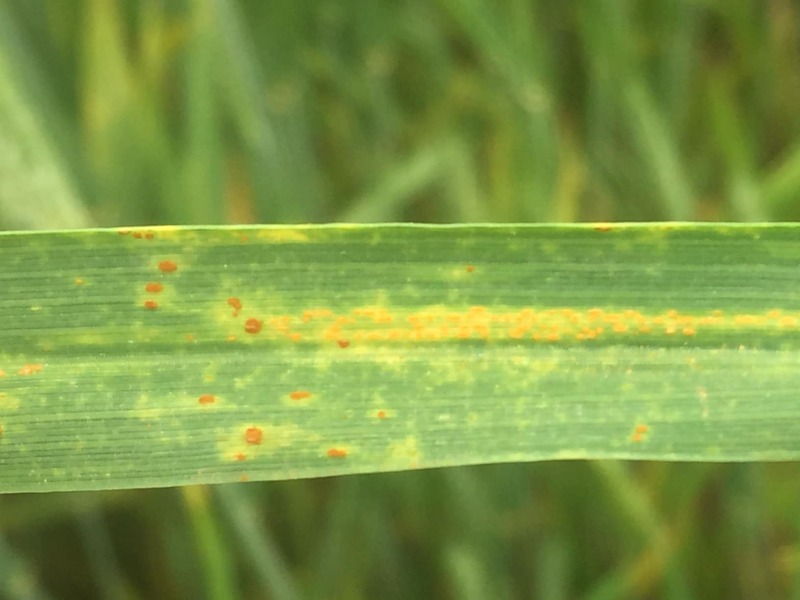 Stripe rust is best identified by tiny, yellow to bright orange pustules that form distinct stripes on the leaves (Image 1). There might not be such striking stripes on some varieties or on the lower leaves (Image 2-3). Leaf rust produces small round or oblong raised pustules that are orange red in color (Image 5). Leaf rust pustules are more scattered and larger in size compared to stripe rust. 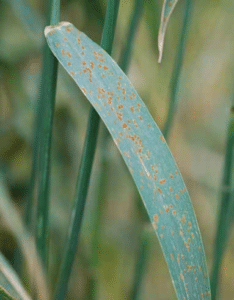 Leaf rust develops within a warmer temperature range (64 to 77 °F). 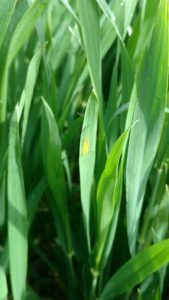 If uncertain about rust identification you can consult your county agent and see the “Wheat Disease Identification” and “Common Fungal Wheat Diseases” at UTcrops.com for more images and information on additional wheat diseases. Image 6. Leaf rust pustules on left are darker orange and larger than the stripe rust pustules which are arranged in a line on right side of leaf. While both rusts overwinter in the South and blow in each year, both fungi are damaged by freeze/thaw cycles that could slow disease development. With continued cool, wet temperatures I would forecast stripe rust to worsen. The decision to apply a fungicide to wheat should be based upon multiple factors including: 1) disease presence, 2) fertility and yield potential, 3) weather conditions and 4) cropping history. A detailed foliar fungicide point system can be found at UTcrops.com (Wheat Foliar Fungicide Point System scroll to bottom of page) that can be used as a guide to determine the need for a fungicide application and the Wheat Fungicide Table can help guide product decisions.